Pick Up Delhi Station & move to Manali. Night Manali. On arrival at Manali check in hotel,Afternoon half day city tour visiting Hidimba Devi Temple, Manu Temple, Vashisht Village, Vashisht Hot Water Springs,Van Vihar,Hong kong Market,The Mall and Tibetan Monastery.Afternoon free to explore the Shopping malls of Manali. Dinner & Overnight at hotel. 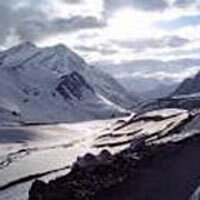 After Breakfast at hotel proceed for full day excursion visiting, Kothi Village, Palchan Village,Nehru Kund,Beas Nalla, Rahla Water falls, Gulaba, Marhi, Rohtang Pass (Upto Snow Line in case Rohtang is closed due to snow fall) enjoy Skiing full day around Rohtang in the mountain side snow fields. Dinner & Overnight at hotel. After Breakfast in the Morning excursion to KULLU VALLEY AND MANIKARAN enjoy Rafting in the Beas River, en-route visit kullu market, Kullu Shawl factories and sale outlets, Angora Farm, Vaishno Mata Temple and Parvati river. Return to Manali to explore the town on your own. Overnight at hotel. After breakfast check out hotel and proceed to Delhi.